Nokia’s most expected Android Smartphone has been launched in Indian market on 10th March. Nokia X has been launched in Mumbai with the price tag of Rs.8599. Nokia X does not have Google’s Play store but it supports android .apk files from third party. Instead of Google’s play store, Nokia X uses Nokia store for apps. Nokia X is now available for buying in various online store. It’s expected to reach all retailers on 15th March. Followed by Nokia’s first Android device, lots of android devices are expected. Two more devices, Nokia X+ and Nokia XL have been announced to be launched in couple of months. Nokia X and these two devices are not pure Android devices. They have a new platform as Nokia X platform 1.0 based on Android Open Source Project(AOSP). These three devices are powered by Qualcomm Snapdragon dual core processor. Nokia X and Nokia X+ has the same screen size as 4.0 inches whereas Nokia XL with 5 inch screen. Nokia X runs on 1GHz dual-core processor with 512MB RAM. It is a touch screen mobile and support dual SIM. It holds the internal storage of 4GB and the memory can be expanded up to 32GB. The pictures can be clicked with its 3 Megapixel primary camera and it does not have the front camera. It is powered by a removable battery of capacity 1500 mAh. Nokia brand is well known for its lifetime. In the launch event Nokia X has been dropped from a height of 5 feet against wooden surface but, as we all know Nokia phones are stronger, it worked fine without any damage after that. Nokia is at a new platform and Nokia works to curate list of some apps dealing with pure Android. 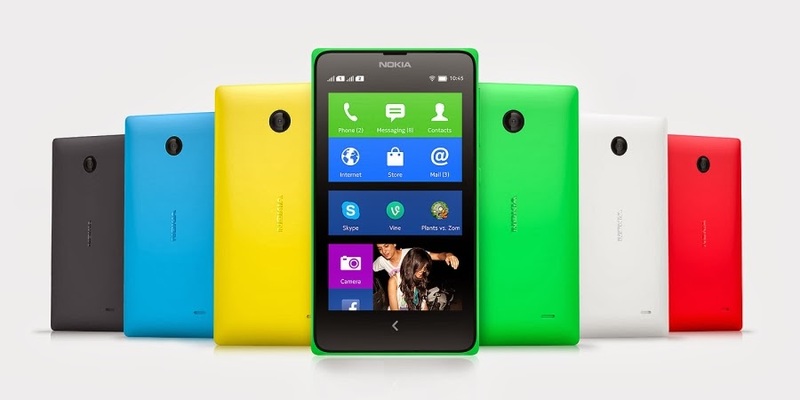 Nokia had made a path with Android and Nokia X is expected to attract everyone with its variant colors and features.